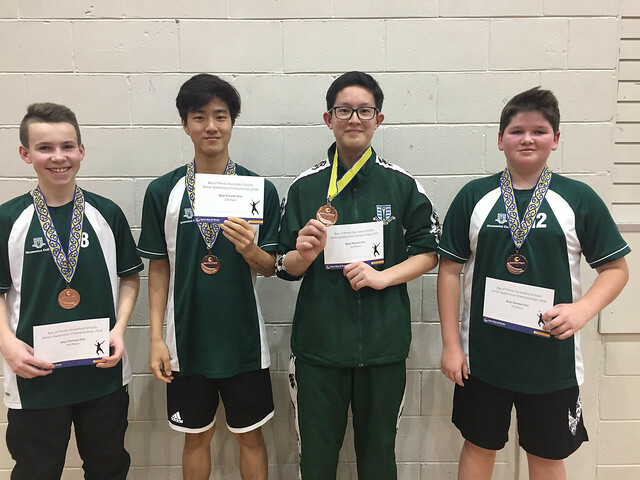 Senior Badminton Finals – each region has qualifying tournaments during May and June term 2. The winners and 2nd place all have the opportunity to fight it out to see is the best in the bay of plenty in their age group. Schools came from all over the BOP over 320 students well represented from Whakatane region Rotorua, Taupo and Tauranga. Badminton numbers are still increasing all across the bop , it is one of our biggest growth sports in the calendar. John Paul College displayed fantastic game play ,drop shots, very good serving followed up with smashes but remained poise through the day taking out the main title in the girls division 1, followed up by Bethlehem Girls taking silver and Tauranga Girls College coming in with bronze . Second division was won by Tauranga Girls college. Boys Division was a tight battle with Bethlehem college boys taking the overall division one title with some dynamic display of drop shots and smashes and John Paul college taking a close 2nd and Otumoetai college taking the bronze. Trident High School taking the division two title. Badminton is an exciting and demanding physically and mentally. Well done to all the students that participated and won medals. All credit to all the athletes that participated in badminton this year and to all the teachers and support staff you guys are a credit to your schools.